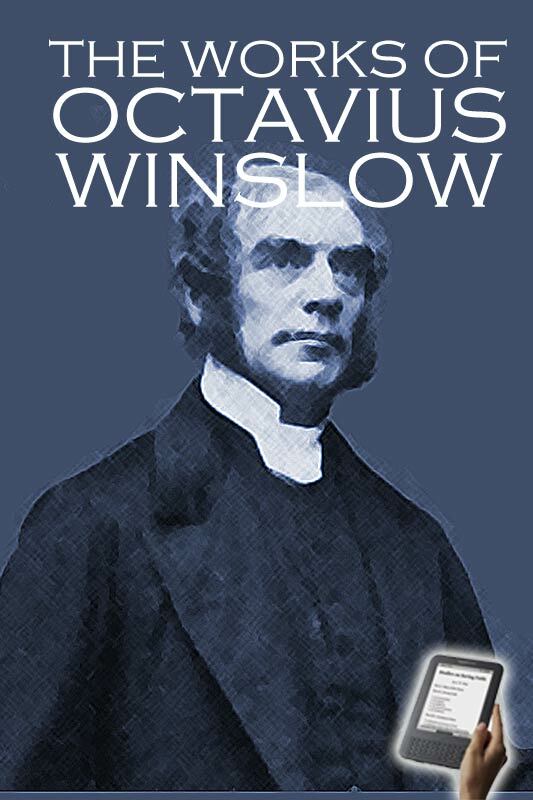 Octavius Winslow (1 August 1808 – 5 March 1878), also known as "The Pilgrim's Companion", stood out as one of the foremost evangelical preachers of the 19th Century in England and America. A Baptist minister for most of his life and contemporary of Charles Spurgeon and J.C. Ryle, he seceded to the Anglican church in his last decade. His Christ centered works show devotion, practicality, and an experimental calvinism of the highest order. His writings are richly devotional and warm the soul and inflames the heart with sincere love, reverence, and praise to Christ. Winslow spent most of his life in England. He pastored a Baptist church on Warwick Road in Leamington Spa, Warwickshire (1839–1858) where he followed Rev. D.J . East. In 1858 he became the founder and first minister of Kensington Chapel, Bath. In 1865 the church became a Union Church (mixed credobaptist and paedobaptist). This latter event probably marks a changing attitude in Winslow who in 1867 left the Baptist pastorate and in 1870 was ordained an Anglican deacon and priest by the Bishop of Chichester. For his remaining years he served as minister of Emmanuel Church, Brighton, on the south coast. In 1868 he had produced a hymn book for this very congregation. This church was destroyed in 1965 and a Baptist church erected in its place. 12. Christ is Ever with You!